The American Red Cross Medical Education and Testing program prepares students for one of the highest demand jobs in the state. In the Red Cross Nurse Assistant training (NAT) program, students learn to care for residents of nursing homes, hospitals, and home healthcare organizations. This rewarding program trains students to help clients maintain their quality of life. Classes are flexible and offered day and night. The valuable skills learned in the nine-week NAT program give students a solid foundation for entering the healthcare field. Other Medical Education and Testing programs offered by the Red Cross include a re-entry program and Instructor Training Courses. Sessions last approx. 1-1.5 hours. Please bring photo ID. All applicants must take pre-assessment screening test. Classes offered in NH - Concord, Franklin, Portsmouth, Keene Peterborough, Lebanon and Manchester. The American Red Cross Nurse Assistant Training course provides 150 hours of classroom, lab, and clinical instruction which prepares students to deliver quality nursing care in long-term and acute-care facilities, as well as in-home care. This program is approved by the NH Board of Nursing, NH Department of Education Career School Commission & VT Board of Nursing. The valuable skills learned in this NAT program give students a solid foundation for entering the healthcare field. 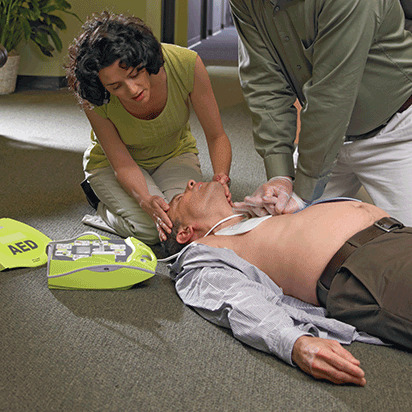 CPR/FA & AED certification is included in tuition. Daytime classes and evening classes are available. For registration and class locations in New Hampshire only call 1-800-733-2767. The American Red Cross Testing Office is approved by the NH Board of Nursing to administer the LNA exam for both initial & reinstatement licensure. We arrange testing dates for both individual & student groups for daytime and evenings. If you or your students have successfully completed the Nursing Assistant Training in NH or your LNA license has expired, please contact us for the test form, preparation guide and fees. We can be reached at 1-800-962-4337 or by email: Kristen.Oleson@Redcross.org Or Rosanne.Cancellieri@Redcross.org. Participants will learn how to teach a Licensed Nurse Assistants program to work in today's direct care workforce. We are a NH Board of Nursing & VT Board of Nursing approved Train the Trainer program.